Mikki Kendall must have felt that her fifteen minutes of fame was almost up and so it was time to attack white women again. Although Kendall, while of course promoting the hashtag for all she's worth, says she isn't the one who came up with it. Naturally she says @Auragasmic is "speaking from her experiences" which means that if a white woman agrees that white women as a group are guilty of all these sins it must be true! Maybe Beth of Auragasmic wanted to get in on all that white-woman-hating celebrity that Kendall has been getting for the past several months. There's apparently nothing that leftist media outlets love more than charging white women, as a group, with all the evil on this earth. But the real issue is that if you don't agree with Mikki Kendall and the other SJW you are automatically racist. So if you agree with them, maybe they'll forgive you for your congenital racism which is due to your being a white woman. 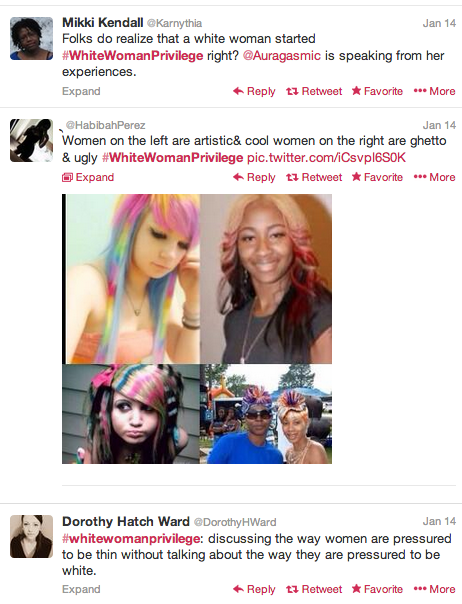 And you can't hate all white women without relying on the assumption that all white women are rich. Apparently all the white women that Anat Shenker-Osorio and Aura Bogado know are rich. I had no idea that The Nation paid so well. And I wonder if Paul Begala knows that Anat Shenker-Osorio is suffering from the delusion that being rich and exploiting your nanny are characteristic traits of being both white and female. 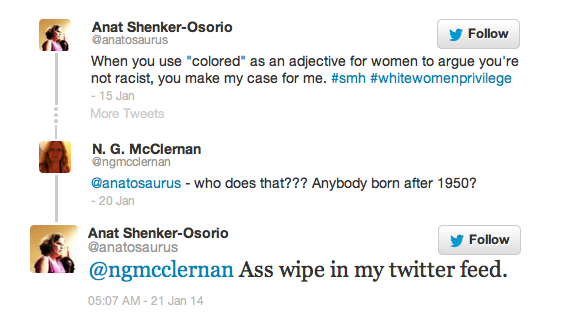 Mind you, Shenker-Osorio makes a living as "a communications expert." It looks like the Social Justice Warriors are going to play the role for liberals that the equally extremist, bigoted and hate-deranged Tea Party plays for conservatives. 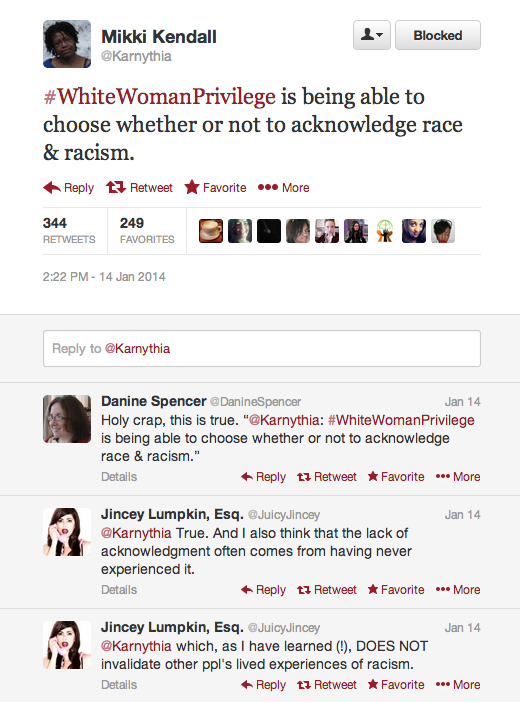 Either this Social Justice Warrior is scolding ghosts, or she thinks women living right now are guilty of slavery. And she doesn't care if her idiocy hurts "your delicate fee fees." And Lynx apparently is angry at suffragettes for fighting for the vote. 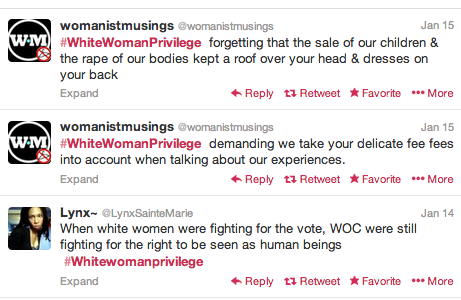 How that prevented WOC from fighting for the "right to be seen as human beings" is a mystery that can only be explained by the deranged hatred of the SJW mind. And naturally the idiots at Jezebel felt the need to promote another example of moronic SJW bigotry.